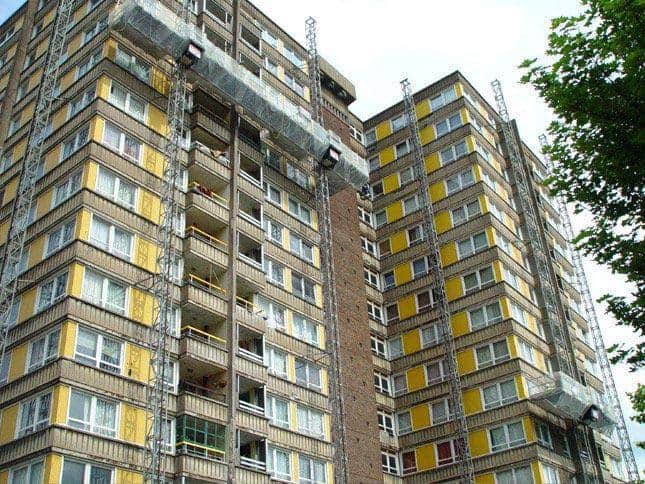 Hanover House is a 16 floor twin tower block built in 1966 and located in the Broomhall district of Sheffield. 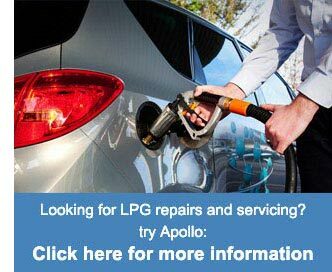 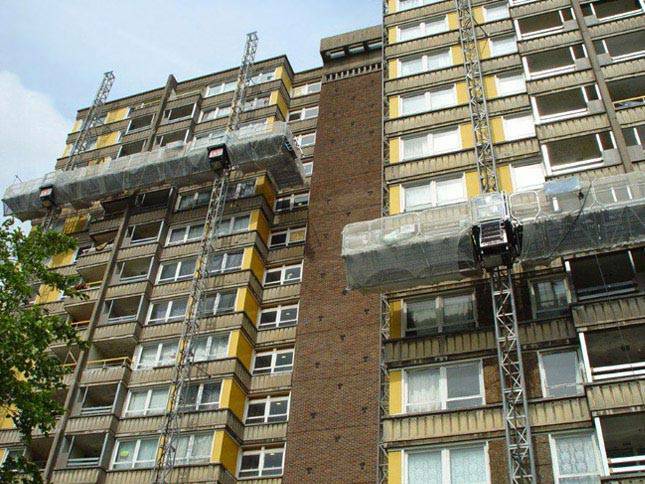 Apollo were approached to supply a number of mast climbers for part of a major refurbishment programme on the building. 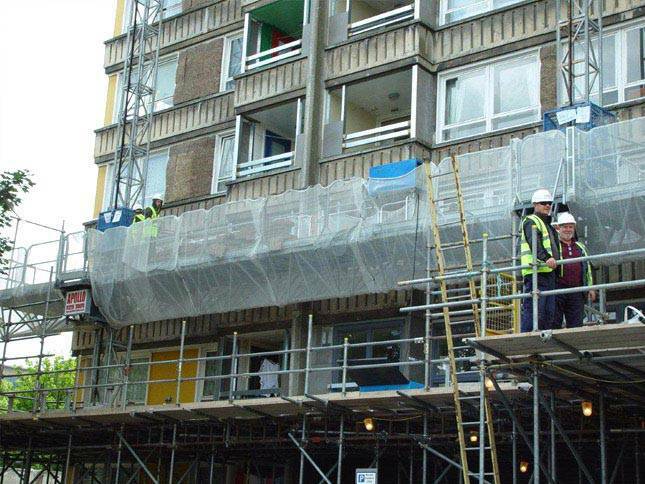 This phase of the project involved repairs and protection of the main concrete structure as well as the installation of rain-screen cladding. 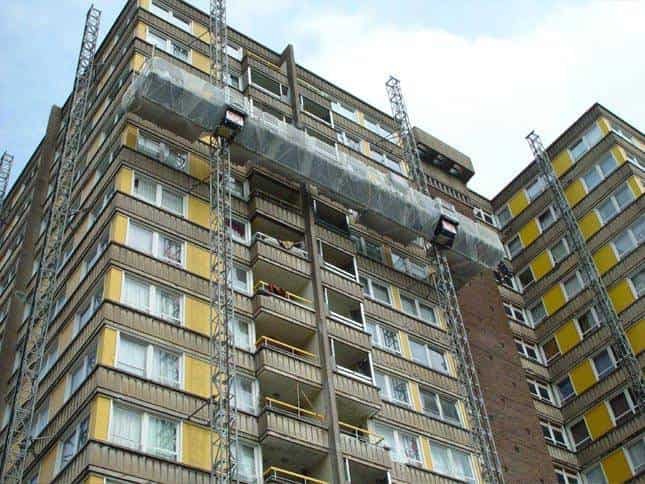 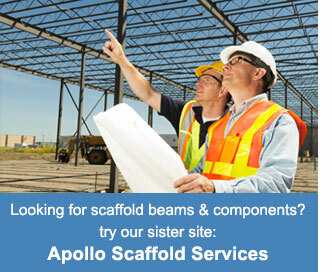 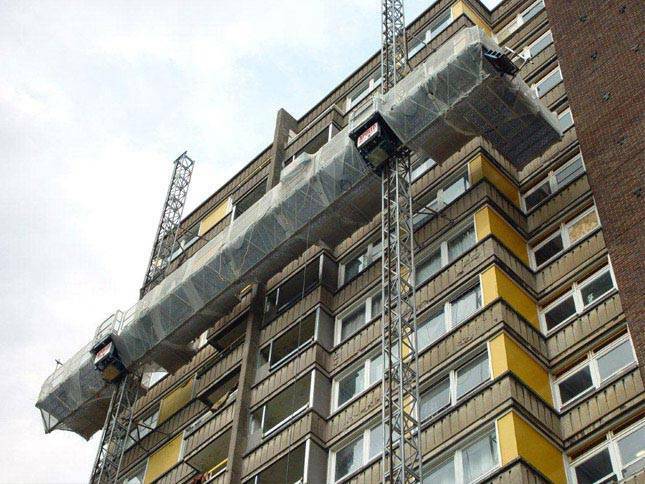 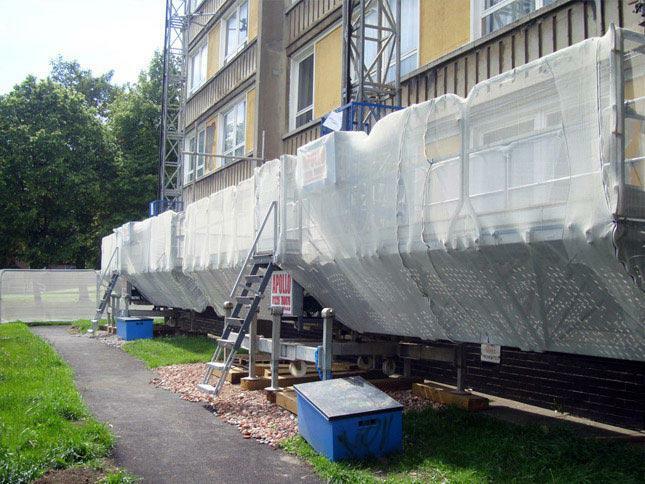 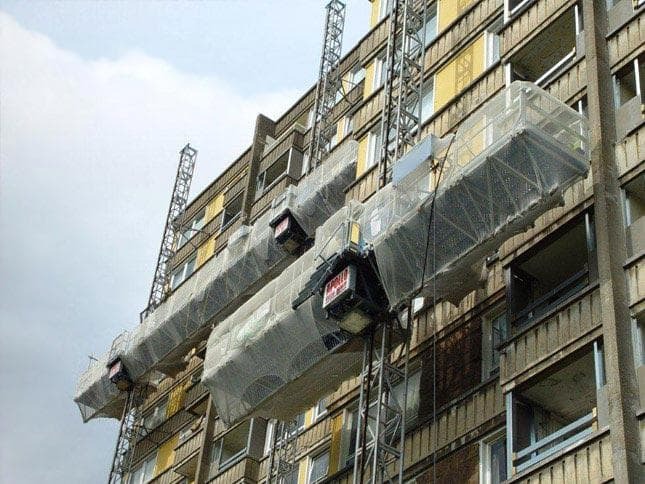 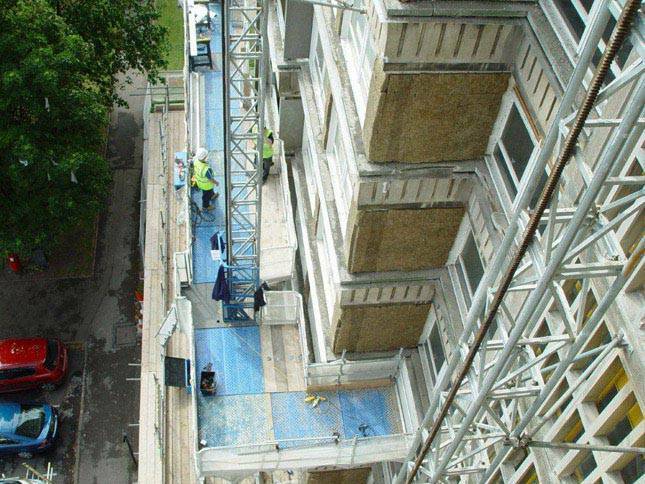 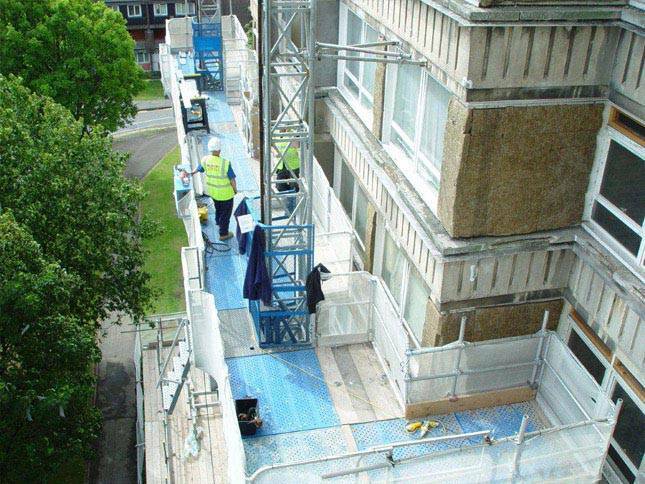 Providing multiple mast climber solutions to install rain-screen cladding to the building.